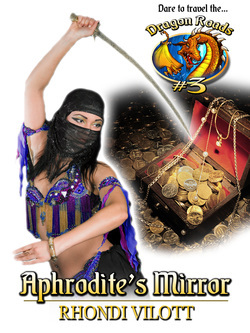 Being born in Phoenix seemed to link me to mythology and imagination almost immediately. My father was the seventh son of a seventh son, and he always told me he’d willed that “magic” to me. I wrote almost before I could read. I can remember my first writing pad and pencil and my frustration that ‘cat’, ‘bat’ and ‘rat’ didn’t make a book! I was about five at the time. Now I publish in print and e book. Look around. I hope you enjoy the fantasy and thrillers, science fiction and mystery that I’ve brewed up over the years. 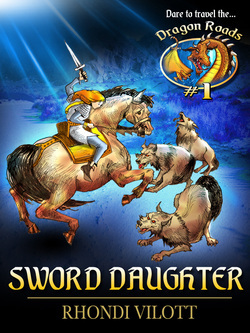 Sword Daughter is an interactive book for juvenile readers who enjoy fantasy, adventure and magic. The reader who dares to travel the Dragon Roads will help the heroine find her destiny, treasure, magic and perhaps even first love in a book that can be read over and over again. Dragons, orcs, elves, villains can be found within! You are James Longstrider and your father has disappeared, leaving your small elven kingdom and your human mother in danger. Despite your half-blood, you are determined to master your magical heritage--if you have one! You must dare to walk the dragon roads in search of justice and teaching. Along the way you face villains, dragons, storms and one rather raggedy talking cat. 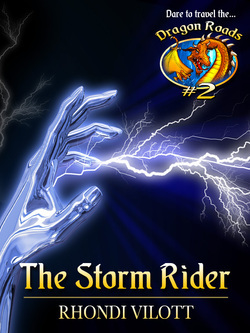 Will you master the storms or fall prey to the many dangers your choices lead you to? You are Matthew, a young Crusader attendant hoping someday to become a knight when a fierce storm sweeps you overboard and only a mysterious Ankh keeps you from certain death. 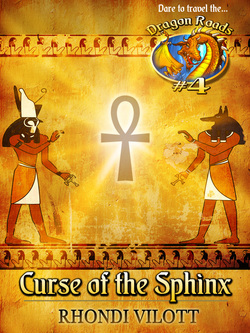 You find yourself in ancient Egypt as gods battle once again and you are in the middle. Choose the dragon road you travel wisely for mummies, crocodiles, vicious snakes as well as ancient gods will keep your from your destiny! Read over and over for different endings and fates! Young Prince Valen is sent to deliver a birthday gift to another king, King Dregnor--and finds himself imprisoned for theft! To his dismay, the dungeons of Dregnor are legendary. Few escape. Will you, as Valen, be able to find a way out? A rickety old man, a cunning thief, and a princess with secrets may--or may not!--help you. 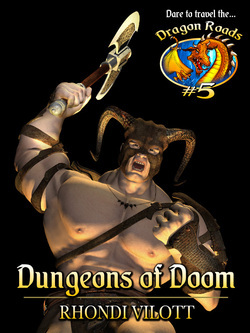 The dungeons hold prisoners, treasures and doom unimaginable. Do you dare walk the dragon roads of this adventure to find justice and freedom? 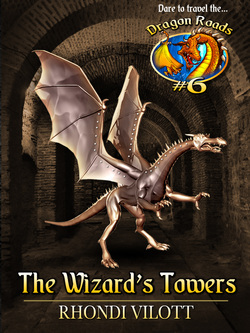 Do you dare the Dragon roads as Colin, a young bard traveling the world to learn his magic and music, finds himself trying to rescued a kidnapped princess from the wizard Rexor's fiendish towers. You make the decisions for Colin as you both dare the Dragon Roads to find Thaya, solve riddles and diabolic puzzles, avoid hungry monsters, and maybe earn treasures beyond belief!